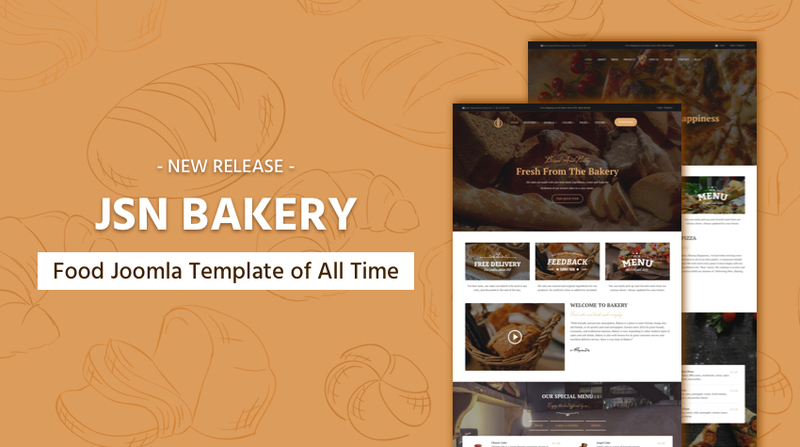 Please welcome JSN Bakery a Joomla Template in August 2018. This template is designed with clean & unique UI elements which can be easily customized for making any restaurant, bakery, pizza, food business website. JSN Bakery does not integrate many strange and difficult extensions and plugins but our JSN PageBuilder 3, Uniform, JSN PowerAdmin 2, JSN ImageShow and a famous shopping cart Joomla extension: J2Store are using on this template. High compatible with Joomla! 3x. The whole layout is designed as a Full-Width and One-Page screen in order to give more room to display rich imagery. Two beautiful demo sites: Bakery & Pizza. Multiple Colors: Brown, Blue, Green, Yellow, Red, and Orange. Four pre-built pages: Quick Tour, Blog, Coming Soon, 404 Error. Also, the template included a page to introduce the product. Flexible menu variations: Mega Menu, SideSide Menu and Tree Menu. Built on JSN Sun Framework latest version. Integrated Joomla! Page builder extension: JSN PageBuilder 3. Joomla! Image Gallery extension: JSN ImageShow. Integrated Bootstrap 3, Font Awesome 4. What's so Special about Pizza Niche? Visit Pizza niche to view Full-Width and One-Page design style. 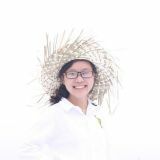 The sample data of Pizza niche is lighter and only one page, so it is very convenient for any users who just want to do simple things like editing content and changing images. With the help of the J2Store extension, JSN Bakery template allows you to showcase all your products clearly and beautifully. More importantly, J2Store support adds to cart, filters of the name, types, prices, and categories and checkout features, so your customers can quickly pick and buy the favorite products. JSN Bakery comes with 06 delicate theme colors: Brown, Blue, Green, Yellow, Red, and Orange themes, that give a richness to your eCommerce website and please the customer’s eyes. The template gives you four beautiful page samples for start. In addition to the four featured pages Quick Tour, Blog, Coming Soon, 404 Error. JSN Bakery has one more page for product introduction is Products page. The template provides three menu styles to help menu items to be displayed nicely for better UX. They are Mega Menu, Side Menu, and Tree Menu. JSN Bakery built with a powerful Joomla! Framework - JSN Sun Framework. Unlimited module position, drag-and-drop layout builder, limitless styling options & instant preview. JSN Sun Framework allows you to add, modify, and manage the layout. Most modules and pages of JSN Bakery are created with one of the best Joomla! Page Builder extension is JSN PageBuilder 3. With cutting-edge features and sophisticated design, start with JSN Bakery right now for great Joomla! Experience.